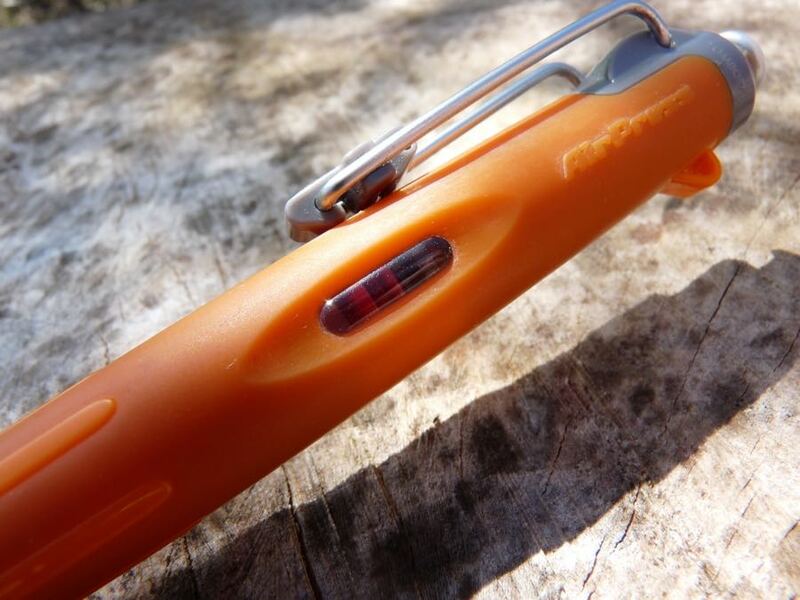 Tombow Airpress Ballpoint Pen Review – Pens! Paper! Pencils! When most people think of a pen that will write on just about anything, just about anywhere, they think of the Fisher Space Pen. There are, however, some alternatives, such as the very reasonably priced Tombow Airpress. I bought this with my own money at the usual consumer price. These are my own honest opinions. The clue to how the Airpress works is in the name. 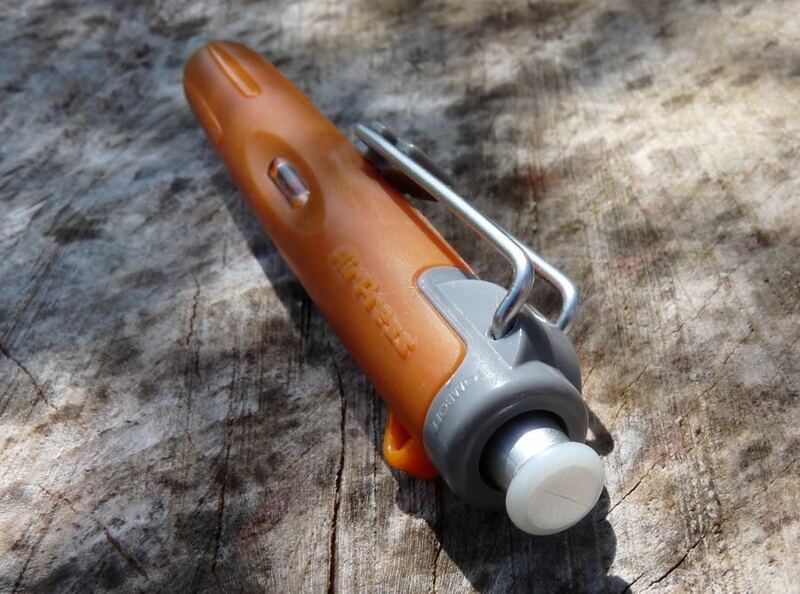 When you push down the nock to deploy the tip, it simultaneously acts as a pump to push air down into the refill. 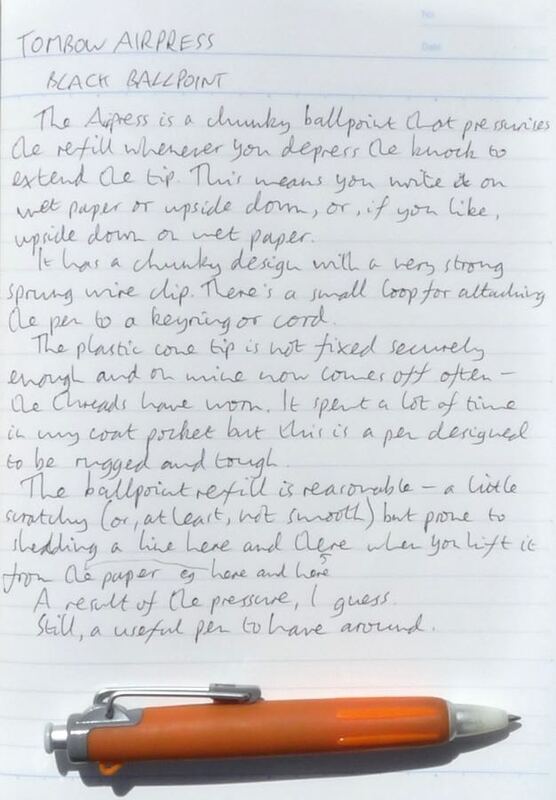 This pressurises the ink inside the refill and means the pen will write upside down or onto damp paper. However one unintended consequence of this pressure is that occasionally the ink with feather out, leaving tiny little lines of ink, like hairline fractures. The refill looks as if it might be a standard D1 size but in fact is a little wider and a little shorter. The refill is about a third the cost of the pen, which makes it half the price of a Fisher Space Pen refill and cheaper than most D1 refills. It writes like a typical cheap ballpoint: a fair amount of skipping and not a lot of oomph in the colour. 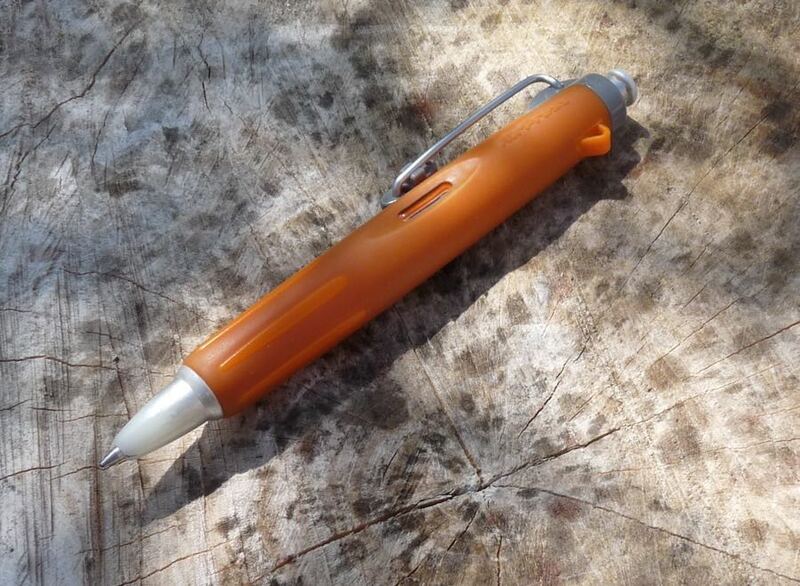 The clip is good and strong and, along with the chunky looks of the barrel, gives the pen a reassuring outdoorsy feel. 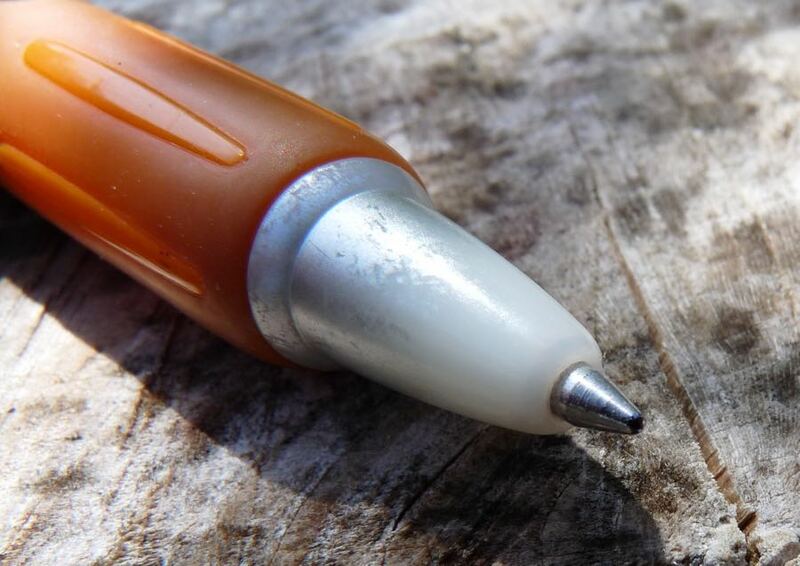 However the thread on the tip cone on my pen wore down after a few months of being in my pocket and then kept coming off. 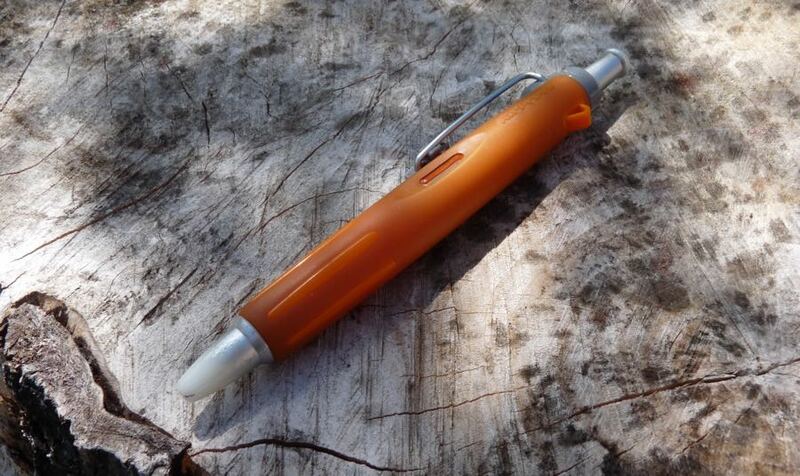 A pen like this should be able to cope with sitting in a coat pocket. The paint also rubbed off the tip cone and the nock: although they’re made to look as if they’re metal, they’re actually coated plastic. The Airpress performs its main function very well. It really does write on pretty much anything. It’s not quite as robust as you might think when you first see one but then it’s reasonably priced. 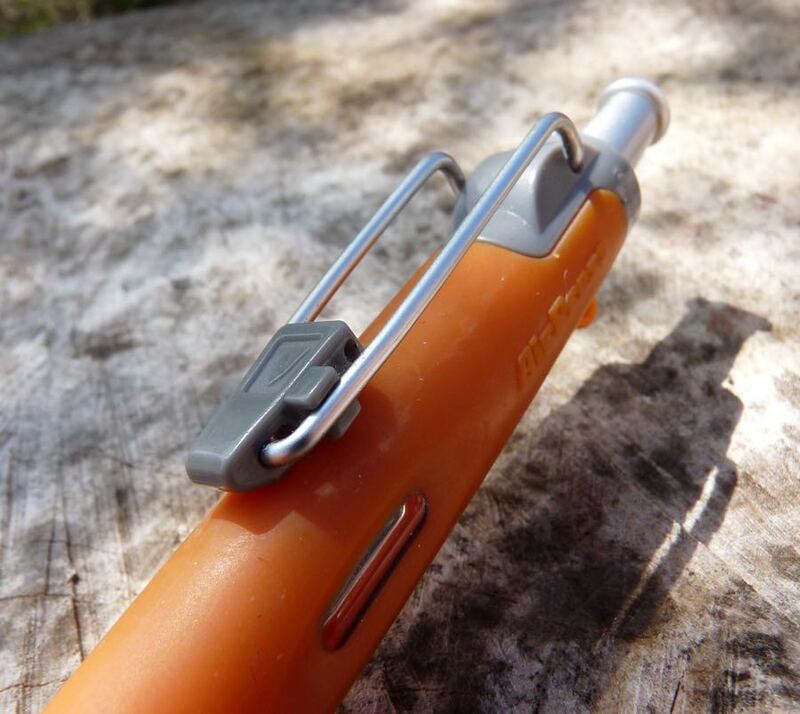 If you want a pen that’s going to last you years, no matter what you do it, and you can be confident you’re not going to lose it while you’re out and about, then investing in a Fisher Space Pen is probably a better choice. However, if you want something cheap and cheerful that you can throw into a pocket or bag without having to worry at all about what happens to it, the Tombow Airpress fits the bill. 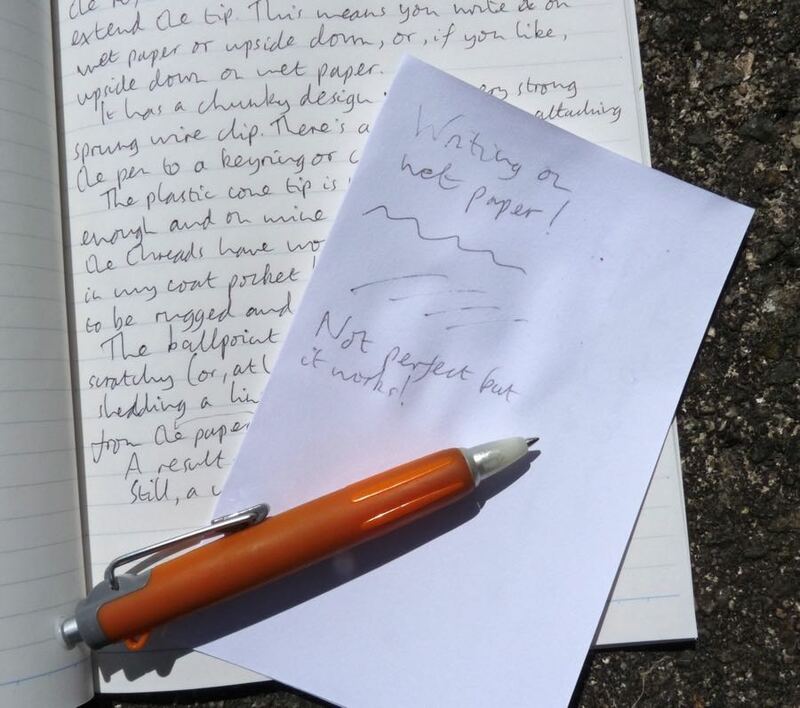 You can find some more reviews of the Tombow Airpress on Pennaquod. Wow Ian, I bought one of these on a whim from Jet Pens and never even knew about the pressure thing. I found what you did typical ballpoint performance.